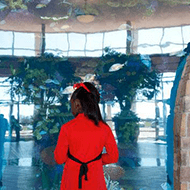 The aquariums at IBOC are symbolic of the mission of IBOC. To enter the sanctuary, you must go under, which is symbolic of entering another world. 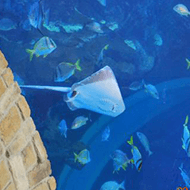 The fish in the tanks are different species and come from the deep. They have been placed in a new environment. Each fish symbolizes the people who have walked under the tanks to enter the sanctuary. Just like the fish, the people come from all different backgrounds, and the sanctuary represents an entirely different environment for people. One element is needed by each to survive: the fish need the tank and the people need the Word. 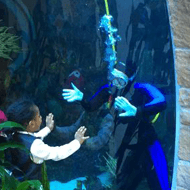 We are blessed to serve in the largest privately-owned aquarium in the United States. 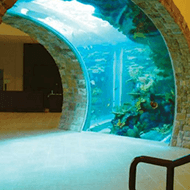 The IBOC aquarium has been featured on Animal Planet’s show, Tanked, as the most challenging and largest aquarium they have built to date. 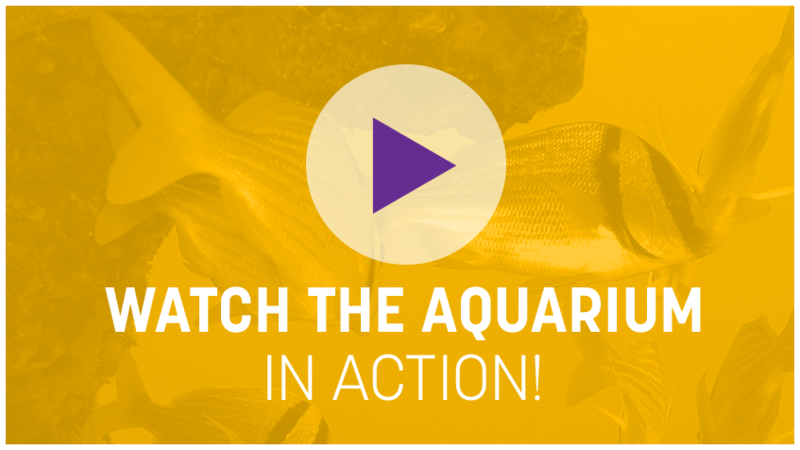 Each of IBOCs aquariums are under 24-hour monitoring by licensed marine biologists. Additionally, all volunteers, including 8 certified divers, are proud members of IBOC. They were required to get their PADI Open Water Diver scuba certification prior to entering the tank. 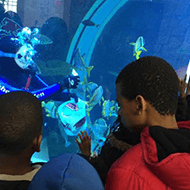 They enjoy learning about each fish and their personalities, which is the clue to giving the fish cool nicknames. 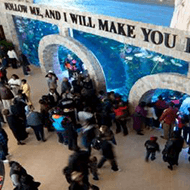 Just as each fish has come from the deep (the world) and now lives harmoniously with one another, we hope to draw people to Christ by displaying the special care and love God has shown us, teaching us to get along in the same environment. 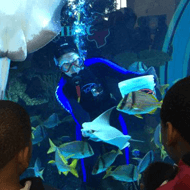 IBOCs Dive Shows are a hit every Sunday after Worship Service! Everyone’s favorite part of the show is feeding time. 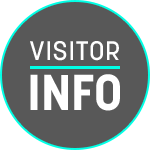 You’ll have a close-up view of hundreds of fish swarming around the divers, stingrays eating right off of the glass in front of you, and Nurse Sharks literally eating out of a diver’s hand! AMAZING!!! 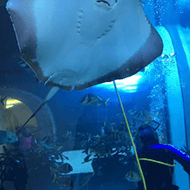 Did we mention swimming in IBOCs tank was the first time our divers had experienced an up-close view with stingrays and SHARKS?!?! 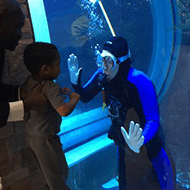 Yes, there are REAL sharks in our tank! 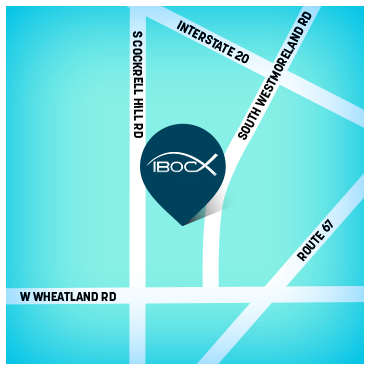 The next time you attend an IBOC Sunday morning service, you will experience a dive show that is sure to be memorable. We look forward to seeing you there!! !